A CPR Instructor teaches a course that trains individuals on how to perform CPR and carry out some other basic first aid skills. The instructor will teach through lectures, videos and hands on learning. CPR instructors often work for either the American Red Cross or the American Heart Association. 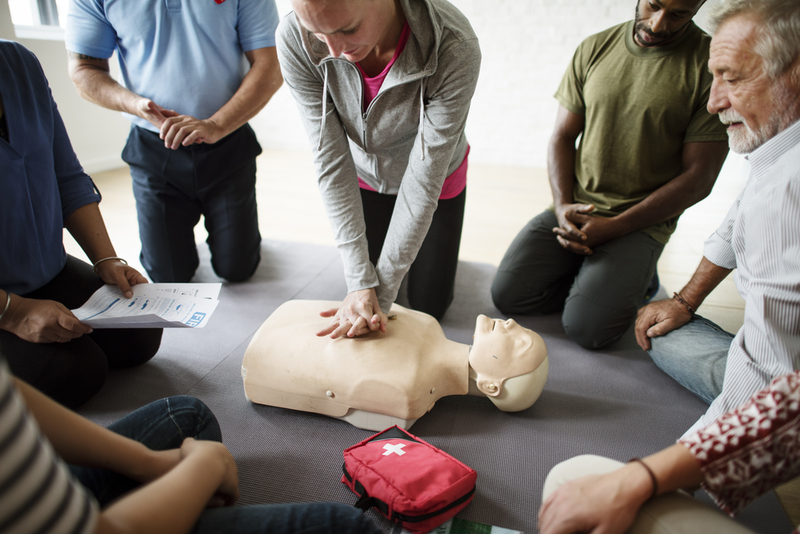 A CPR instructor will need to maintain a valid Basic Life Support Certification at all times. They will also need to have their basic life support instructor certification. To be an instructor, you will need to have graduated high school. Some employers will not hire you until you have had 2 or more years experience teaching courses. It goes without saying that a CPR instructor will need to have in depth knowledge and skills performing CPR. You will need to be successful at presenting materials to a class and teaching skills and background information to your classes. Good computer skills and good customer service skills are also needed for this line of work. If you want to become a CPR instructor, you must be prepared to teach individuals of varying ages. Some will have medical background and others will not. You may need to teach weekend or evening classes to help meets the needs of people who are already employed somewhere or who are receiving higher education. You should be able to lift at least 50 pounds so you can handle the CPR manikins and other equipment. We mentioned that you should have good customer service and computer skills. This is because your job as an instructor might require you to create PowerPoint, Worksheets and other media presentation. You may need to use spreadsheets or online programs to track your classes and the progress of each of your student. You will need to be creative so that you can keep a class interesting while teaching people everything they need to be successful. Sometimes you will need to change up your teaching methods a bit to better meet the needs of someone in your class or to better meet the needs of your class as a whole. You need to be a people person when teaching CPR classes. You should not mind speaking in front of many people. It will be necessary to answer questions even if students have a lot of them. Some individuals might need a little extra help during the class. It is important to be organized when teaching a class. You do not want to misplace materials you need to teach. You do not want to lose any papers or tests that the students complete. Prospective instructors who wish to work for the Red Cross will need to take a special exam prior to enrolling in their instructor training program. This exam will test the person on some basic knowledge they will need as an instructor in CPR. The exam can be completed online and you will need to pass before taking the instructor trainee course. There is not an entrance exam for individuals enrolling in an instructor training courses through the American Heart Association. The Red Cross has a two-step course process for instructor trainees. The first course is titled “Fundamentals of Instructor Training.” This course teaches students about the Red Cross including its history and mission. They will also learn about the support the Red Cross provides for healthcare providers and in the community. The second part of Red Cross will teach trainees more specifics about being an instructor and the tasks they must complete to run a course, teach and grade students. The courses are often tailored to the type of class the instructor will teach. So for example, they may learn how to teach a CPR course for childcare providers or how to teach a course in CPR for EMTs or healthcare professionals. The AHA also uses a two part system. Trainees will first attend a Core Instructor Course. This courses provides information to future instructors on how to plan and prepare their course. They will learn various ways to teach and how to interact well with all their students. The course has 20 modules that students will work through. Instructors will then train to teach particular courses in the CRP realm. 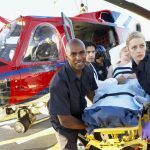 For example, they can learn how to teach Basic Life Support, Pediatric Advanced Life Support, a Heartsaver Course or Advanced Cardiac Life Support. Both the American Red Cross and the American Heart Association offer various forms of instructor classes. Some classes are completely in person. There are others that can be completed using an online format. Some training classes utilize a hybrid system. This allows individuals to complete some of their training with the convenience of taking part of the class online and the remainder of the class in person. After you have completed all training and certification requirements for the American Red Cross, you can start to teach your first course. THe American Heart Association is a little different. You will have someone watch over the first course you teach. They can provide help and advice if you get stuck or need a little more training when working directly with students. It is not too difficult to maintain your certification. American Heart Association instructor certifications are good for two years. There is an exam you will take every two years to stay certified. You can sit for the exam without further instruction as long as you have not taught less than 4 classes during your certified period. The American Red Cross on the other hand, only requires you to have taught one class during your certification period and they do not require a test every two years. You can make pretty good income as a CPR instructor. The current average salary is close to $44,000 per year. Some instructor do not teach full time hours which can make this a very good earning potential, though you may not receive benefits. If you are working on a full time basis, you may receive paid time off, health insurance and other perks with your compensation package.